7. If you are moving out of your home or have a bunch of carpet stains this is for you. You can get rid of your stains with two ingredients that I know you have. 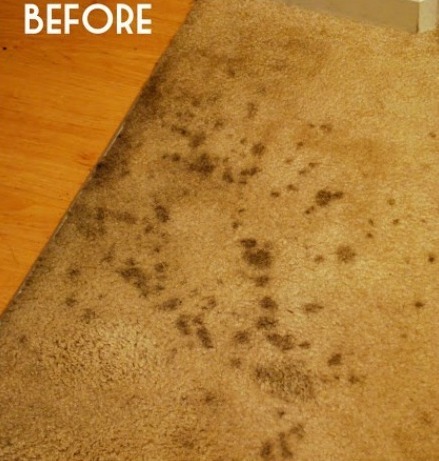 Find out what the ingredients are at DIY & Crafts’ post on Perfect DIY Carpet Cleaning Method + Recipe.